It’s almost that time of the year again… summer camp! While this means you can finally get some much-needed peace and quiet around your home, we know that planning and packing for camp can be pretty stressful. Even if you do remember to pack everything, your little ones sometimes forget some of their gear behind on their camp adventures. 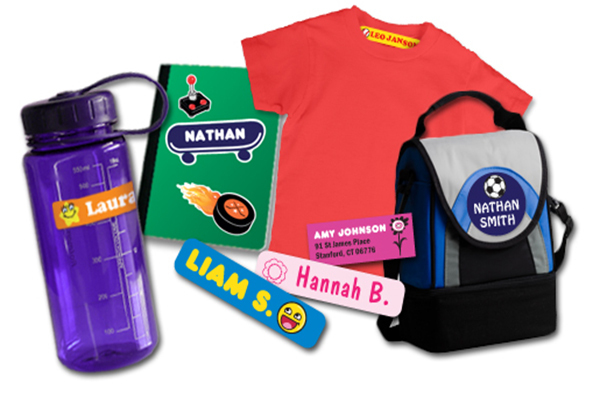 StickerYou has got you covered with custom kids labels for all your summer camp gear. Designing your own labels with StickerYou’s Custom Sticker Editor Platform is not only super easy, but it’s also a fun activity you can do with your child to make sure they really love their new labels. Choose from pre-made label templates or upload your own designs if you’re feeling extra creative. The best part? There’s no minimum order! Stick-On Clothing Labels - They’re super sticky, they’re washer and dryer safe, they don’t require an iron for application, AND you can remove them when it’s time to change labels. Our stick-on clothing labels are a great way to tag your child’s clothing so they won’t get misplaced or wind up in the lost and found all summer long. Iron-On Clothing Labels - Like our stick-on clothing labels, iron-on labels are washer and dryer safe. Iron-on labels are a more permanent solution and take less than 30 seconds to apply. Tip: Label your child’s socks to prevent sock mix-ups with other campers. 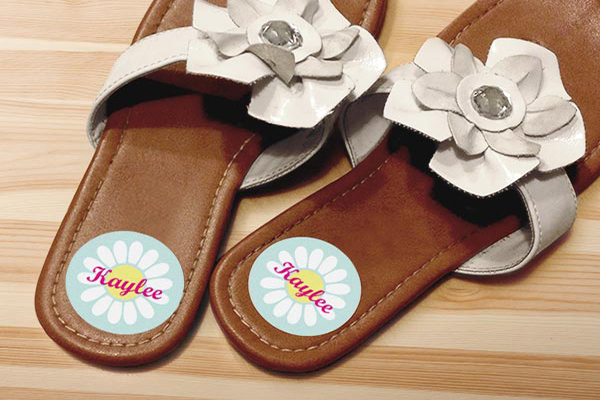 Shoe Labels - Scratch-proof, water-proof, UV-proof, and fade-proof, StickerYou shoe labels make sure that no matter how much fun your little one is having at camp, they won’t be misplacing their sandals and sneakers anytime soon. Kids Name Labels - Sometimes you just need a simple name tag to help identify camp paraphernalia like water bottles, backpacks, and electronics. Your kids will have a great time designing their own labels with a bunch of fun fonts, colours, and images. These ones are great because you write on them with permanent marker or remove them without leaving a pesky residue. They are also microwave and dishwasher safe! 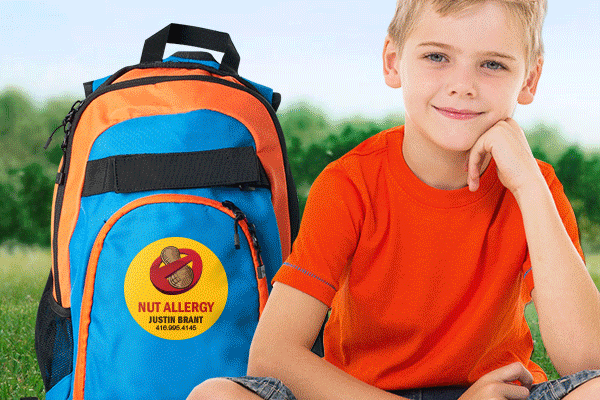 Allergy Labels - If your child has an allergy, seeing them go off to summer camp can be pretty unsettling, so custom allergy labels bring you peace of mind to prevent allergy attacks. 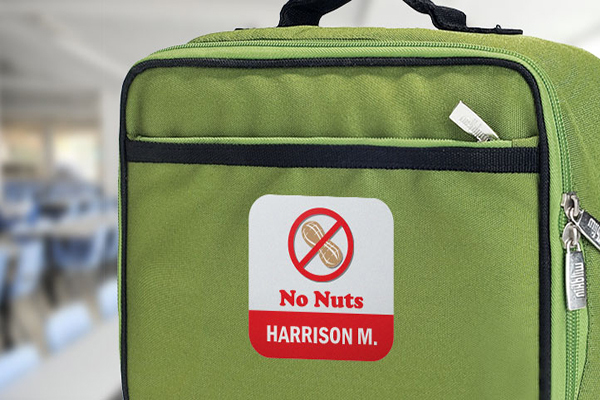 You can use a pre-made template for common allergies to eggs, soy, nuts, fish, wheat, or dairy, or create a custom sticker from scratch and then just stick them on just about any surface like backpacks and containers to keep your little camper safe when you’re not around.